Anna Bennett’s experience in public opinion research and strategic consulting spans three decades. She provided polling, strategy, and message development to political, non-profit, and corporate clients across the nation and globe. She was a founding partner in the firm of Bennett, Petts & Associates in 1992. Bennett has polled for hundreds of Democratic candidates. Her clients have included two presidents, nearly a dozen governors and U. S. senators, and two dozen members of Congress. She provided polling and strategic advice for the Clinton/Gore ‘92 and Obama/Biden ’08 campaigns. Bennett was a pioneer in the effort to elect more women to executive office, with extensive experience polling for women candidates including Governor Ann Richards (TX) in 1990 and Governor Ruth Ann Minner (DE) in 2000. She provided polling for State Senators Emily Couric (VA) and Wendy Davis (TX) in their upset victories over Republican incumbents. Bennett also specialized in the types of “red to blue” districts that were key to the Democratic victories of 2006 and 2008. In 2006, Bennett and her firm helped deliver the takeover of the House of Representatives, working in 10 of the 30 districts gained by Democrats that year, including the December special election pick-up of the 30th House seat in which Ciro Rodriguez defeated Republican incumbent Henry Bonilla in Texas. Bennett took on many of the toughest red districts won by Democrats, including Jim Matheson of Utah, Chet Edwards of Texas and Stephanie Herseth Sandlin of South Dakota. She provided polling and strategic advice for the Democratic National Committee, Democratic Governor’s Association, Democratic Senatorial Campaign Committee, Democratic Congressional Campaign Committee, Democratic House Caucus, Democratic Legislative Campaign Committee, Human Rights Campaign (Don’t Ask Don’t Tell in 2010), EMILY’s List, American Wind Energy Association, the San Antonio Spurs and the Houston Rockets. A number of historic victories and experiences hold both professional and personal significance for Bennett. Over the years she worked steadfastly in her home state to elect leaders who would create opportunity for everyone and move Texas forward. Ann Richards’ hard-fought win in her race for governor and Ron Kirk’s resounding mayoral victory, becoming the first African American mayor of Dallas (Bennett’s home town), are two of those victories. In February 2008, Bennett joined Obama For America to provide polling and strategic advice for the two-tiered Texas primary/caucus. Barack Obama won the delegates in Texas, 99 to 94. In the general election, she conducted polling in the critical battleground states of Colorado and New Mexico, as well as playing a leading role on the Obama campaign’s Youth and Latino voter outreach teams. The Youth and Latino voter efforts in 2008 laid the groundwork for key components of the path to victory for the Obama re-election in 2012. Bennett worked with the National Democratic Institute (NDI) volunteering her time and expertise to support and strengthen emerging democracies around the world. In 1993, in preparation for the first legislative elections held in Russia following the fall of the Soviet Union, Bennett was a member of NDI’s international faculty, providing party building training to members of the newly formed political parties in Moscow, St. Petersburg and Vladivostok. In Northern Ireland in 1995, in the midst of work on the Framework Agreement and a major ceasefire in The Troubles, Bennett worked with unionist and nationalist party leaders across the sectarian divide. Bennett led an NDI focus group project to inform the parties on a wide range of important issues. This effort provided the parties with a unique opportunity to forge relationships across religious and political lines that otherwise would have been impossible. Also in 1995, in preparation for the first Palestinian elections, Bennett worked with NDI in the West Bank/Gaza to analyze voter participation efforts and consult on survey research methods to promote voter turnout in this historic election. Prior to forming her company in 1992, Bennett was a Vice President at Hickman-Maslin Research. During her five years there, she provided public opinion research and strategic advice to political and non-political clients including Senators George Mitchell (ME), Frank Lautenberg (NJ) and Paul Simon (IL), Governors Ray Mabus (MS) and Ann Richards (TX), the Association of Tennis Professionals (ATP), the Epilepsy Foundation of America, and the Government of the Netherland Antilles. 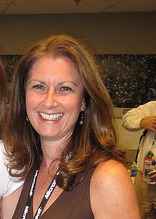 Bennett came to Hickman-Maslin from the international public relations firm of Hill and Knowlton, where she provided quantitative and qualitative research and strategic advice to corporate clients including Procter and Gamble, ITT, Mobil Oil and the Advisory Council on Japan-U.S. Economic Relations. Bennett “hung up her crosstabs” in 2011, after years on the front lines in political campaigns. She now offers analysis, strategic advice, message development and business planning to political and non-political clients. She has worked with non profit and “local movement” start-up and pop-up businesses in the Washington, DC area including BQgranola, a DC-based artisanal granola company. Originally from Dallas, Texas, Bennett was raised in a large family with a strong commitment to social justice and equality. She holds a Bachelor’s Degree in Government from the University of Texas at Austin. While an undergraduate, Bennett worked for Shipley & Associates, the premier Democratic polling firm in Texas at the time. Upon graduation in 1982, Bennett was hired by Dan Balz as news aide and researcher for the Austin bureau of The Washington Post — “the equivalent of an accelerated Master’s program at the best J-school in the country.” From The Washington Post Bennett went on to be a researcher and special correspondent for the Decision ’84 Election Coverage at NBC News in New York. In 1993, Campaigns & Elections magazine named Bennett one of 74 women changing American politics and in 1994 Campaigns & Elections magazine selected her as a “Rising Star” in American politics. Roll Call named her one of the “Money Twenty-Two: Consultants Who Matter” in the 2004 election. National Journal’s Hotline Consultant Scorecard recognized Bennett’s firm for its “standout performance” in 2008. In 2010, Campaigns & Elections magazine named Bennett to their list of “Texas Influencers” as one of the 50 most influential Democratic figures in Texas politics and government. She is a former member of the board of directors of the American Association of Political Consultants. Bennett has been a guest lecturer at the John F. Kennedy School of Government and the Institute of Politics at Harvard University, the Annenberg School for Communication at the University of Pennsylvania, and American University’s Graduate School of Political Management. Bennett lives in Washington, DC with her husband and son.